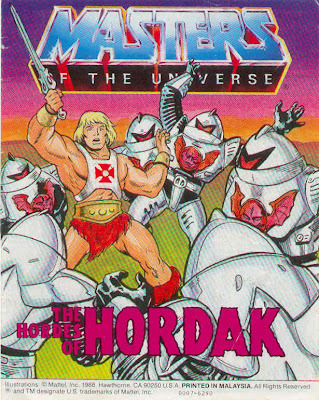 The Hordes of Hordak is a 1986 Masters of the Universe mini-comic written by Steven Grant and illustrated by Red Grant and Bruce Timm. 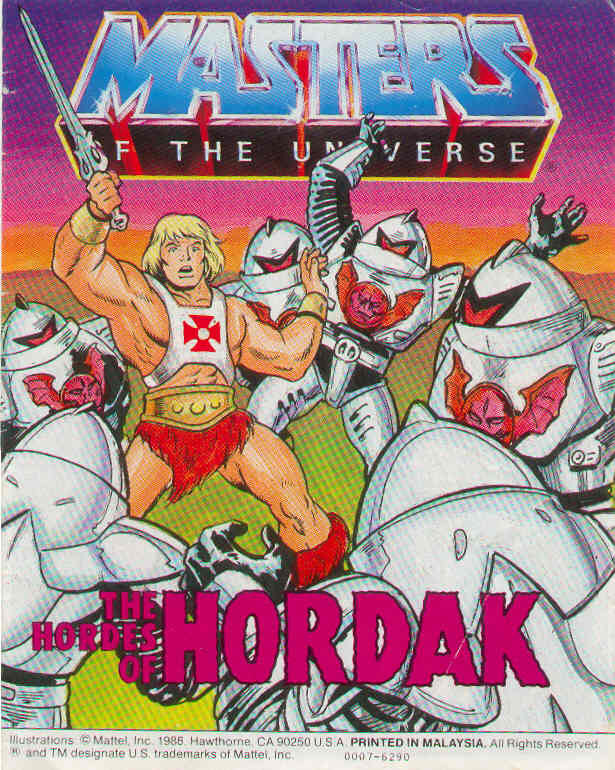 Here, Hordak kidnaps Sy-Klone and sends an army of Horde Troopers against the Heroic Warriors. I understand that the gimmick of the Horde Trooper action figure was that it “broke” when you pressed the button on its chest, but let’s be frank: an army of soldiers whose weak point is the middle of the chest is the worst idea of all time (they don’t even carry shields!). I’m not sure that even an Achilles’ Face would be dumber than an Achilles’ Sternum (at least then we could get some “not in the face!” jokes going). The art is more than competent, even if this isn’t Grant’s or Timm’s finest work. Hordak looks quite good – if a little snaky – and the action panels are well done. However, there are issues with face consistency, and some panels look like the inks were rushed. Worst, the decisive moment of the conflict on page 12 is apparently so violently awesome that it can’t be illustrated, as we get almost an entire page of little more than action lines and an action word; however, it does spare us from finding out how a factory utterly explodes just from having a sword lobbed in its general direction (clearly the factory was built using the same design principles as the troopers themselves). The art’s pretty good and the concept is solid, but this comic is dumb, dumb, dumb.